Claire Dubiel is a fourth-year student at the University of Texas at Austin majoring in Computer Science with a certificate in Scientific Computation and Data Science. She has had experience interning in the financial services industry in New York and at Microsoft as a software engineering intern. Her primary interests are in big data computing and data workflows in the cloud. 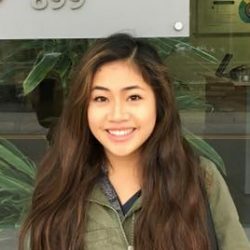 Claire is also a co-founder of Bioinformatics Practicum, a student organization whose mission is to educate and provide bioinformatics resources to undergraduate students. As a Genetics Education Student Leader she hopes to engage other students about the interesting challenges surrounding technology and genomics and the discoveries being made to help solve them!